The 11th largest mall on the planet, SM City Cebu is a sprawling four-level complex that features eight world-class cinemas, a department store, a food court, a bowling center, a traveler’s lounge, an 8,000-square meter amusement center and a 2,000-square meter trade hall. It hosts about 500 retail shops, restaurants and cafes. SM City Cebu first opened in November 1993, catering more to the broad middle class in comparison to Ayala Center Cebu, which targets a more upscale market. To the delight of Cebuano mall-goers, an expansion wing, dubbed the Northwing, opened in 2007. The Northwing offers two floors of retail shops, restaurants and cafes, and caters more to the leisure market. 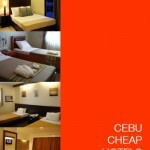 SM City Cebu proves that variety is the spice of life. You can find an array of exciting food choices, from fast food chains to elegant fine dining restaurants. You can also experience retail heaven with its many shops such as Oxygen, Penshoppe, Mango, Topshop, Promod, People Are People, The Body Shop, National Bookstore, Ace Hardware, Toy Kingdom, Toby’s Sport and much more. Movie buffs are also treated to a whole new cinematic experience with SM’s 3-D IMAX theater, which opened in late 2009. 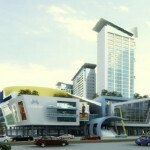 SM City Cebu also addresses a common concern of many customers – parking. It provides an expansive car park with three levels of covered parking as well as roof deck parking. 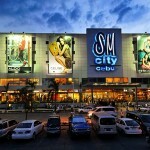 SM City Cebu is located at the North Reclamation Area, Cebu City. You can contact SM at these numbers: (032) 231-0557 and (032) 231-3446 to 47. 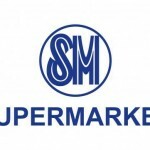 You may also e-mail them at [email protected] or visit their Web site www.smsupermalls.com as well as their Facebook page. Since Everything Cebu is not affiliated with SM Cebu, we are not privy to the goods they sell. Please directly call them using the numbers posted. do you have a 1997 grape flavored white wine?how much it will cost one bottle.any brand name..
And get the info there. We’re sorry to hear about that. We hope Globe Telecom does something about their phone line. We suggest you try calling their 211 hotline using your globe mobile number. Good luck! I just called SM to try to get Globe Telecom’s direct number but apparently they couldn’t give it to me because what they have is Globe’s old number. The girl also told me that Globe does not have a working phone line. A telecommunications company that does not have a working phone line?! What the heck is that?! Please call SM customer service to obtain the number of Globe Telecom. The numbers are posted in the article. Everything Cebu is not privy to such information. Please call SM Cebu at these numbers: (032) 231-0557/231-3446/231-3447. Hi po I would just like to ask if you have any idea about 3D movie schedule for this coming Thursday December 15, 2011 and if the price is still 400 pesos?.. Please directly call SM Cebu so they can give you the contact number for Save n’ Earn. The numbers are 231-0557 / 231-3446 / 231-3447.
hi, i need help. 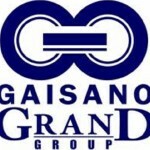 i need a contact number for save n’earn in sm city cebu. We suggest you call SM Cebu directly so they can give you a list of all their restaurants. 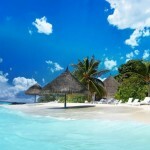 You may call 231-0557 / 231-3446 / 231-3447.
can i ask something is there a somekind of romantic restaurant in sm cebu? 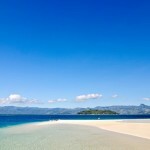 or any restaurant which you can do a dinner date in smcebu a special one? Hi Irish! Sorry, we are not privy to such information. The contact numbers of SM Cebu are posted in the write-up. Thanks! I am a third year student of University of San Jose – Recoletos taking up Liberal Arts and Commerce Majors in Marketing and Communication. I would like to ask if you are open to sponsoring student’s advertising events? Micz, please try calling at 231-0557 / 231-3446 / 231-3447 to know if SM Appliance Center offers gift wrapping services. Hi Mikoh! 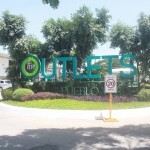 From Monday-Thursday, mall hours are 10:00 a.m. to 9:00 p.m., while Friday-Sunday, 10:00 a.m. to 10:00 p.m.
Hi Chino! Try going to the Cyber Zone as there are a lot of stores that can assist you. I”m sorry we don’t know the specific stores. Good luck! does Sm appliance offer gift wrapping? Saan po mabibili yong Xbox at PS3? pwede po ako kahingi ng number ng store? bati kaayo ang inyong sounds,, segeg balik balik! can i ask the different websites of each boutique in the sm city cebu if you dont mind ? .. magkano pu bah ang GeForce 7300 sa SM CITY CEBU ..
.. kung pde rin pu sa e`mail cu nlng..
.. maraming salamat po! .. I would like to ask all the contact numbers and email ads of all the retail shops, restaurants and cafes in the mall. Thank you.